omygod finally she gets a youtube page *.*!!! I'm your devil 6'45 ver. About time! The video is amazing! I love it!! It's so dramatic and completely marvellous! I can see how they are trying to recreate the magic of Lollipop Candy BAD Girl, which is impossible, but they made a pretty good effort! Am I the only one who laughed really hard when they saw this. The rapping part is the funniest thing ever. And february sitting there looking confused, not doing anything is hilarious! Tommy is so pretty. Rapping part was a bit awkward, but they look like they were having fun. ^^ I loved the february6 parts, she was so cute! I think it was meant to be funny. The group certainly looked like they were having fun. I did laugh at the rapping part too. 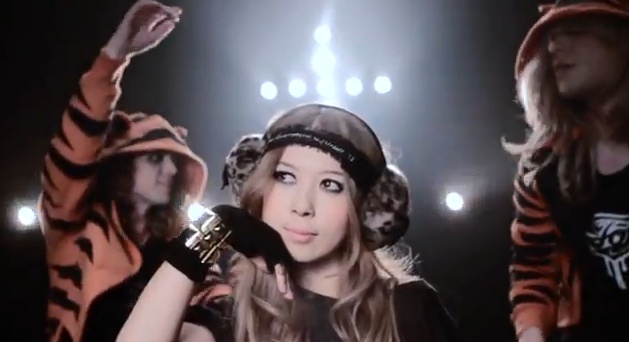 I think Tommy's solo PV's are always meant to be fun. Every single one has got comedy in it. - First of all, I LOVE the super Slow Motion thing. It's something that hasn't been used that way in Tommy's PV, and I love the result and how it fits with the song. - Thing I don't like so much: Tommy-tiger dressed doing nonsense XD I mean, it's funny, but I don't think the video needs THAT much of it. Eh, the videos are perfunctory, nothing more. I guess they have a very small budget for videos, so this is all we're going to get for a while.